Wind warning issued for Greater Victoria as storm hits coastal B.C. 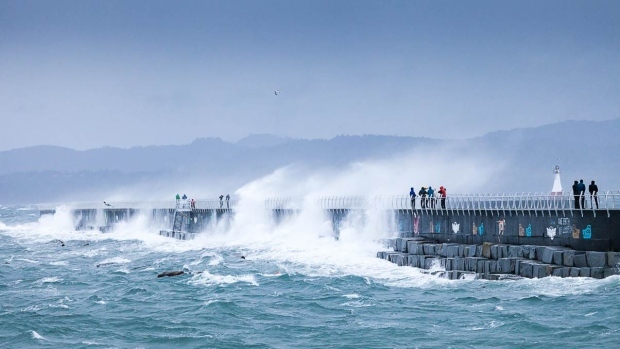 Winds of up to 70 kilometres an hour will hit Greater Victoria late Thursday night, prompting Environment Canada to issue a warning for the region. A Pacific frontal system moving across the B.C. coast will be followed by westerly winds overnight near the Juan De Fuca Strait. "The winds are expected to ease early Friday morning as the front moves further inland," Environment Canada said. Such warnings are issued when there is "significant" risk of damaging winds that can toss loose objects around or cause tree branches to snap. Rainfall warnings have also been issued for Metro Vancouver, Howe Sound and the Fraser Valley, where between 50 and 80 millimetres of rain is expected to fall in a 24-hour period. Environment Canada is asking the public to continue to monitor storm alerts and report severe weather to bcstorm@canada.ca or tweet with the hashtag #BCStorm.